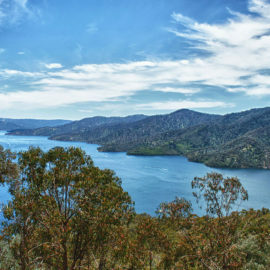 Lake Eildon and its five feeder rivers – the Big, Goulburn, Jamieson, Howqua and Delatite Rivers – are an angler’s paradise. Trout, perch, redfin and Murray cod all call our waters home. For some the lure of the High Country is not in our sweeping alpine vistas, but in our iconic mountain rivers and lakes. Mansfield Mt Buller’s clear streams and tranquil inlets ensure a magical fishing experience. 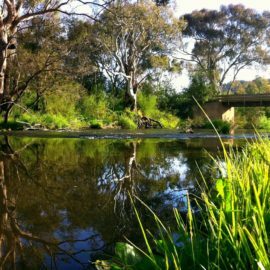 The Howqua, a Victorian Heritage River, is a fly-fishing icon. For a different perspective, you can drop a line off the back of a tinnie while you enjoy the view from Lake Eildon, or take in the wild High Country at the edge of Mt Samaria and fish the waters at Lake Nillahcootie. Before you cast a line make sure you have read the current Recreational Fishing Guide and have purchased a Fishing Licence. 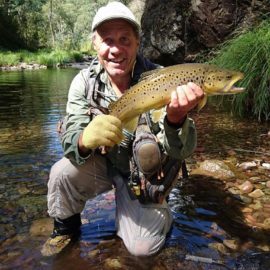 The Delatite, Jamieson, Howqua and Goulburn rivers offer some of the finest fly fishing in Australia complete with gorgeous scenery, unspoilt banks and bright blue kingfishers right alongside you. 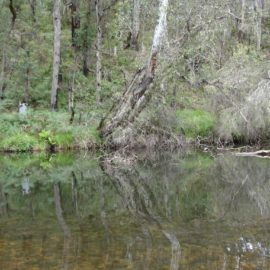 The Howqua River is a Victorian Heritage river and a fly fishing icon. On this stretch of water, billionaires tangle lines with local anglers. 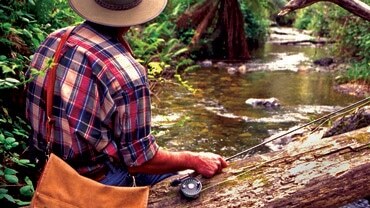 Beginners can learn the art of casting, lure-fishing and stream craft from experienced guides. While serious anglers can stake out a quiet spot beside a High Country stream or lake and test their fishing skills with fly, lure or bait. You might even glimpse a local fishing on horseback – word has it horses don’t scare off the fish. New to the sport? Why not book a guided fly fishing experience with professional instructors who will equip, instruct and guide you on all local waterways. High Country lakes are popular with those who love the fresh water and offer plenty of opportunity for fun. 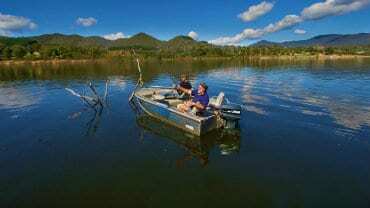 Lake Eildon is Victoria’s largest inland lake and offers great fishing. 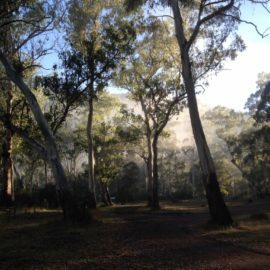 Most of the land around Lake Eildon is a national park and there are plenty of private, unspoilt bays you can call your own. While fishing lakeside, look for Yellowbelly, Redfin, Carp, Brown Trout and even Murray Cod. You can fish from the shoreline or, for a peaceful afternoon, rent a boat and find yourself a secluded spot. 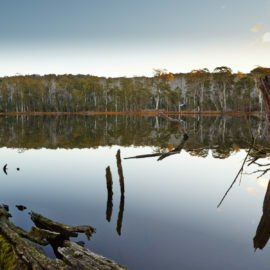 At the northern edge of the High Country, near the wild reaches of Mt Samaria Park, Lake Nillahcootie offers a completely different experience. Gentle, grassy banks offer excellent shoreline fishing.